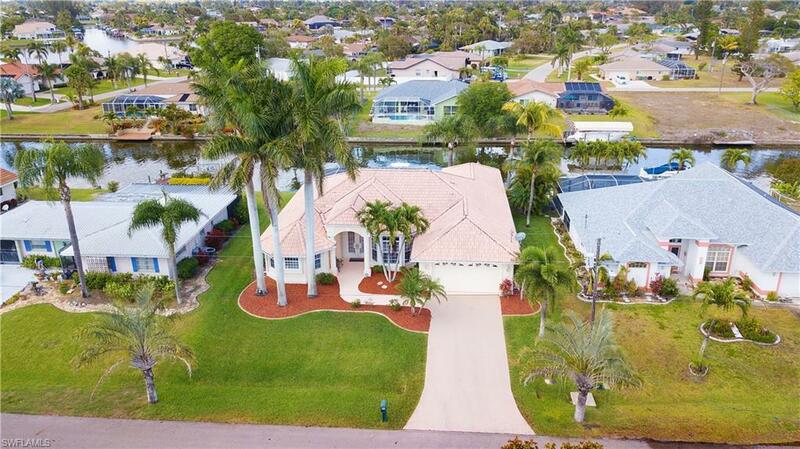 209 SE 35th St, Cape Coral, FL 33904 (MLS #218028626) :: Clausen Properties, Inc. Welcome home! 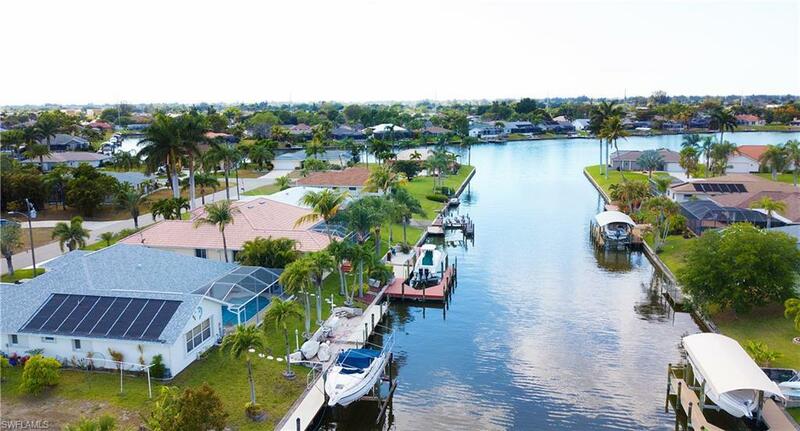 With the immaculately maintained interior, sparkling pool and gorgeous dock area- the most discriminating buyer will find this home a treasure. 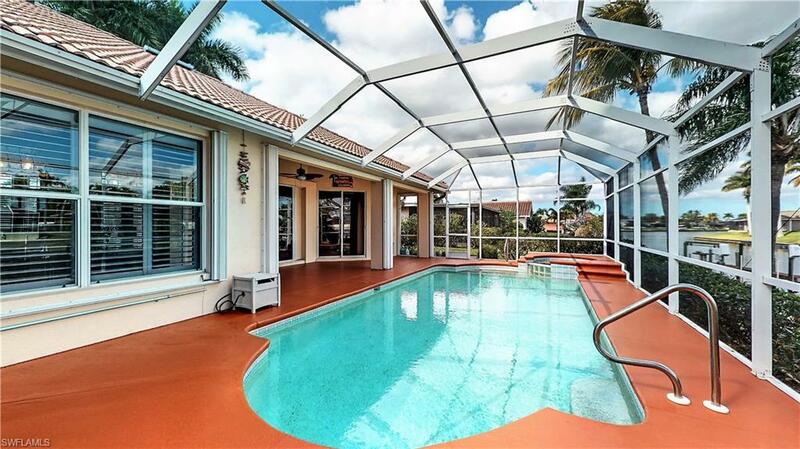 The original owners have taken exceptional care of this 4 bedroom + den, 2 bath home. The open living area is what everyone is looking for - perfect for entertaining and daily living. The kitchen offers tons of counter space, storage and stainless steel appliances. The great room opens with triple pocket sliders to a generous sized pool area with plenty of covered space to enjoy the pool and canal views. The master suite offers a very large bedroom area, large walk in closets and a spa-like bathroom with dual sinks, soaking tub and huge walk-through shower area. Split floorplan with large guest bedrooms. With glass French doors, one of them would also serve nicely as a den. Other bonuses include plantation shutters, fresh paint inside and out, lots of tile, new Stainmaster carpet in all the bedrooms and accordion storm shutters. 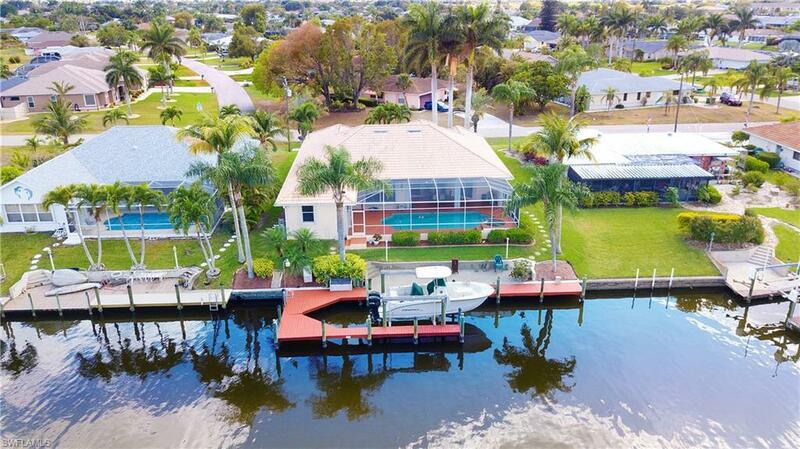 Boaters will enjoy the wrap-around dock, captains walk dock full length of the property and 12,000 lb lift. One bridge and you're on your way to the Gulf of Mexico. Move in Ready, Bring your offer. Listing courtesy of Timothy J. Kennedy of Vip Realty Group Inc.